Father’s Day is upon us. It’s the most important day of the year to show your dad just how much he means to you. 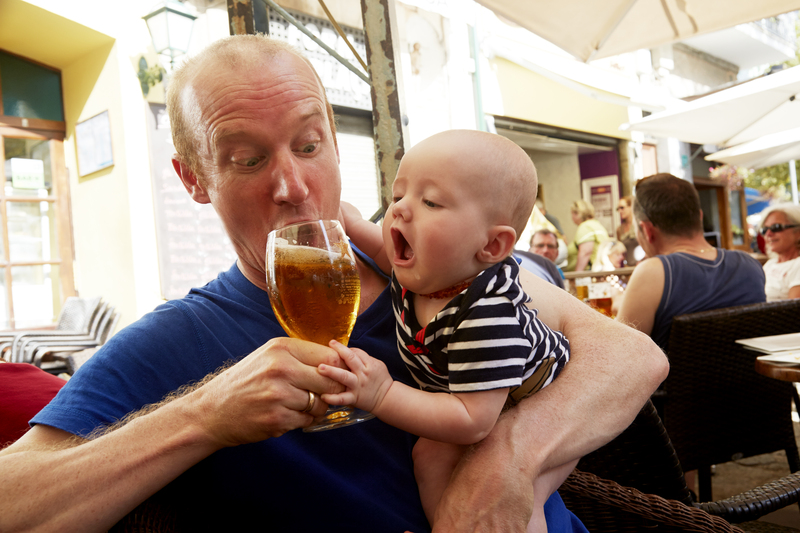 This year, instead of the usual lame gifts, your dad deserves something special. And by special, we mean boozy (or at the very least something booze-adjacent). Lucky for you, we have you covered. 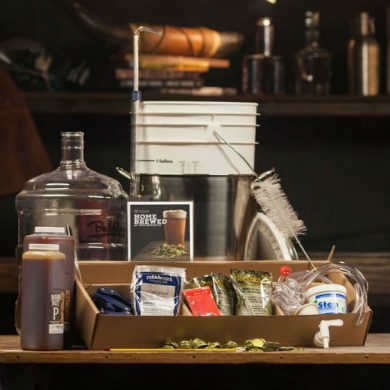 From a home-brewing kit, to a cooler kayak, to “bonding over bourbon experience”, and a whole slew of bottles, we have the best gift ideas for your very special dad. Buy any (or a few) of these gifts and you’re sure to embarrass your siblings and their ties and gift certificates to The Cheesecake Factory. Mancrates are curated boxes based on interest that are perfect for your dad. Its Homebrewed Kit comes with everything you need to brew your own beer at home, including: a home brewing instruction manual, brewing Bucket, 5 Gallon Carboy, 5 Gallon Brew Pot, 2 Air locks, pump siphon, thermometer, bottle capper, sanitizer, bottle filler, tubing, SMaSH IPA Kit, and Bottle Caps. 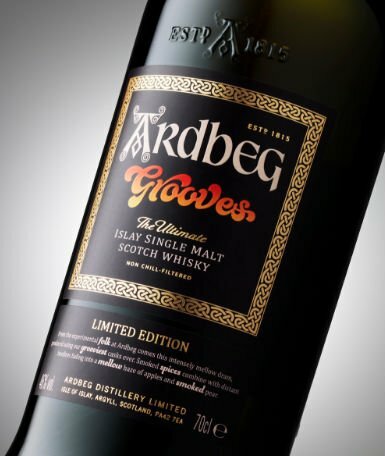 The newest limited-release from famed Islay whisky-maker Ardbeg, Grooves gets its name because part of whisky that makes up the offering is aged in heavily grooved, charred, red wine casks. The result is a rich, smoky, mellow Scotch with hints of vanilla and chocolate. If your dad is a kayak fan, or he just wants a small cooler that looks (and acts) like a kayak then the CreekKooler is for him. 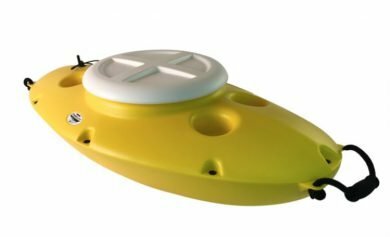 It’s an insulated, floating cooler that looks like a small kayak. He can fill it up with ice and beer and attach it to a dock or the back of his kayak and he’s got the makings of a great day. If you’re dad likes his booze a little bitter, Amaro Montenegro is the perfect gift. 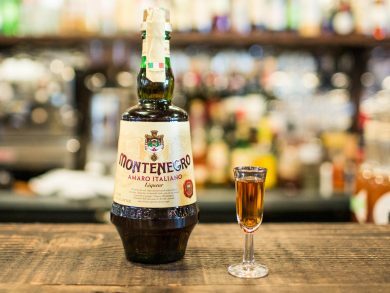 One of the most famous Italian Amaro brands in the world, Montenegro has been produced since 1885. It’s the perfect drink to sip on after a heavy Father’s Day meal. 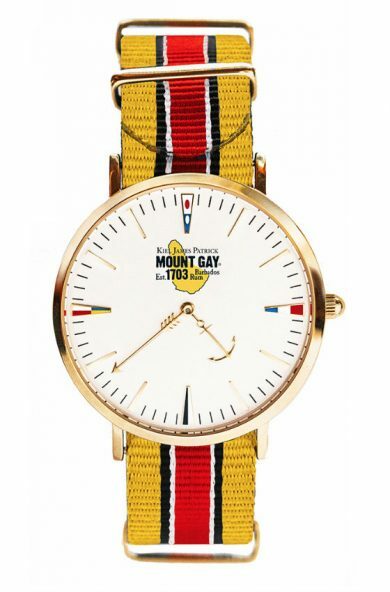 Mount Gay Rum is one of the most famous brands in the world and the oldest premium rum brand (made since 1703). The best way for your dad to show his love for rum and its history is to rock this collaboration between the brand and Kiel James Patrick. Does your dad like hot sauce and whiskey? Well, maybe he’d like them together. If so, George Dickel has him covered. 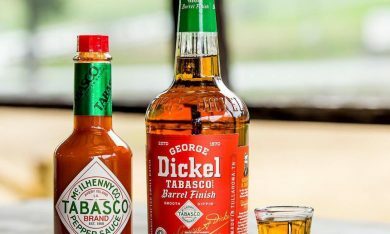 Recently, it released a collaboration with famed hot sauce brand Tabasco. They make it by resting George Dickel in ex-Tabasco barrels for 30 days. The results are an award-winning whisky with subtle spicy kick. Does your dad like to go camping and/or hiking and also likes to drink beer? Is he tired of lugging around bottles or cans of beer on a long, arduous hike? 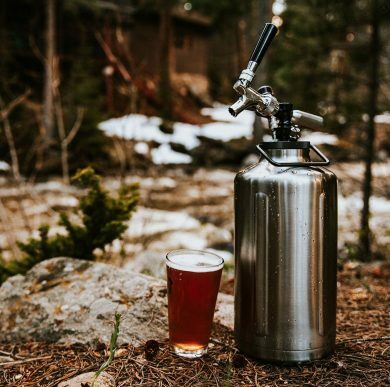 Buy him a TrailKeg Gallon Growler so he can drink frothy brews after a long day in the woods. That’s because the Trailkeg keeps his beer (or any other drinks) cold for up to 24 hours and is pressurized with a double seal to keep it fizzy and delicious. Does your dad enjoy Scotch? 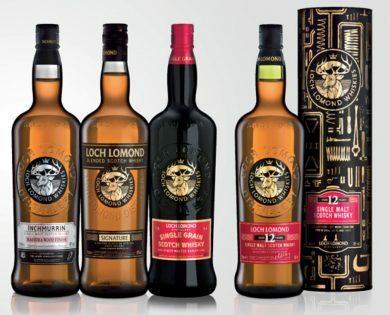 Why not give him the gift of a 12 year old bottle of Loch Lomond? This Scottish whisky is aged for – you guessed it – 12 years in 3 different types of casks (bourbon, refill, and re-charged). The result is a rich, fruity, smooth whisky with hints of vanilla, toffee, and a subtle peat smoke presence. 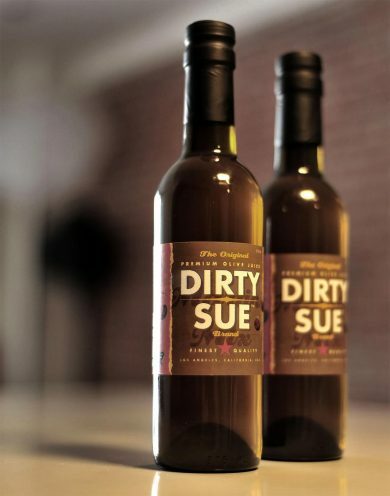 Created by well-known bartender Eric “ET” Tecorsky, Dirty Sue was designed for bartenders (and home bartenders). Instead of wasting a jar of olives by pouring out all the juice to make the perfect dirty martini, you can buy dad a jar of this olive juice. It’s a twice-filtered premium olive juice that’s perfect for his favorite cocktails. 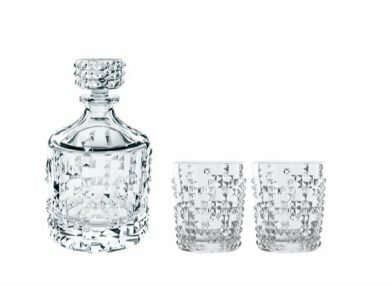 If your dad enjoys a high-quality G & T or a vodka soda then Q Drinks might be the perfect gift. Made in Brooklyn and created by Jordan Silbert, Q Drinks are made from real ingredients. 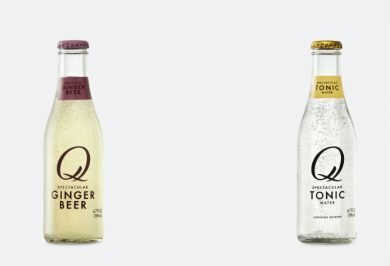 The tonic contains quinine from real trees, the ginger ale has real ginger root, etc. If your dad enjoys gin, you can really make his holiday special by gifting him a bottle of gins close ancestor genever. 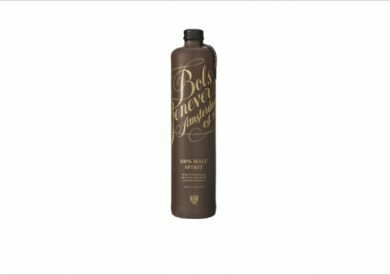 This genever is made with the same recipe the distillery has used for over 350 years and contains fermented corn, rye, and wheat with juniper berries (hence the gin connection). 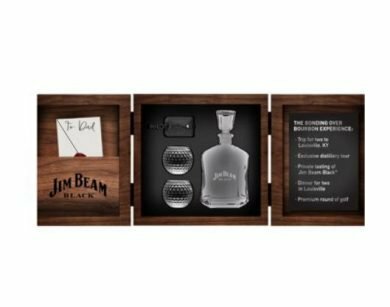 Jim Beam is offering you and your dad a truly unique Father’s Day experience. For only $24.99 (quantities are extremely limited) you and your dad get round trip flights to Kentucky, a two night stay at hotel in downtown Louisville, a tour of the distillery, a meet and greet with Master Distiller Fred Noe, dinner at local restaurant, a round of golf at a local golf club, and a limited edition Jim Beam Black gift box with a decanter, rocks glass, and luggage tag. So, your dad has a favorite spirit. But, what does he drink it in? A red Solo cup just won’t do when it comes to a fine, aged whisky. The folks at Riedel make it their business (literally) to make high-quality glasses, cups, and other items. It’s Punk Collection is perfect for dad because it amps up the classic container with options that include: sharply studded heritage crystal, riotous red, jet black, and gun metal. 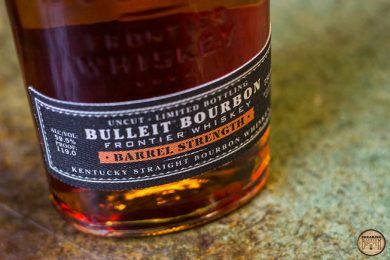 The winner of Best Straight Bourbon at the 2018 San Francisco Spirits Award, Bulleit Barrel Strength deserves as much respect as your dad does. That’s because it’s un-cut and un-filtered. Act fast to get this truly special gift for dad, though. That’s because this 118-125 proof bourbon is limited edition with only 3,000 bottles available.